Santillana USA is the largest educational publisher in the Spanish-speaking world, and their mission is to make learning and teaching English and Spanish an experience that is motivating, enriching, and effective for both teachers and students. 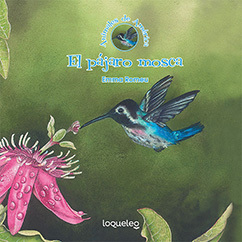 In a collaborative effort with authors, editors, teachers, and students, Santillana creates instructional materials that meet needs of modern-day students throughout the United States, and strive to bring the best education to students in both languages. The students in Mrs. Park’s class prepare to celebrate Martin Luther King, Jr.‘s Day by reflecting on the values he taught. 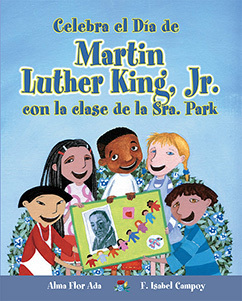 Contains an informative section on Martin Luther King, Jr. This story's protagonist is a feisty little girl who not only loves to play with her favorite doll but also enjoys riding her bike and skateboard, proving that those are not "boy's things." The little girl was walking through the woods when she found a pretty little house. The girl opened the door and walked into the house . . . and what a mess she got herself into! 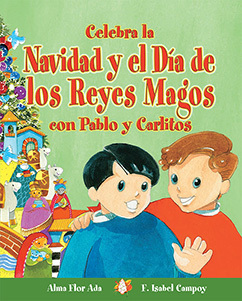 Carlitos writes a letter to the Three Kings asking for lots of presents. Later, he decides to write a new letter and gives up some of the things in his wish list in exchange for a bigger gift for his older brother, who is teaching him how to ride a bike and lets him use his own big kid’s bike. At the end, everyone wins…! Contains an informative section about Christmas and Three Kings Day. Enter, stage left! 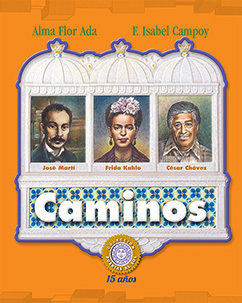 Authors Alma Flor Ada and F. Isabel Campoy have masterfully converted timeless traditional stories such as "The Three Little Goats," "The Little Lamb and the Buzzards, "and "Chicken Little" into entertaining theatrical plays. 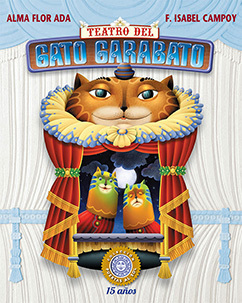 The vivid illustrations provide ideas for the creation of colorful costumes and masks. People who are dedicated to improving the lives of others possess special qualities. 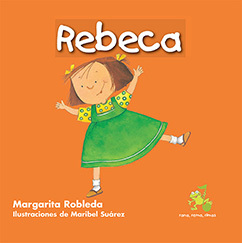 José Martí, Frida Kahlo, and César Chávez are three such people. Explore their lives and the way each one helped to change our world. An old man from La Mancha goes crazy after reading too many books about knights and chivalry. Believing himself one of those heroes, he leaves to travel all around Castilla in search of adventures with his squire, Sancho. 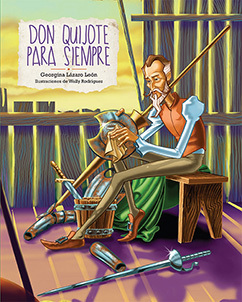 With this book written in verse, children will start to connect with one of the most important works in world literature: Don Quijote de la Mancha. 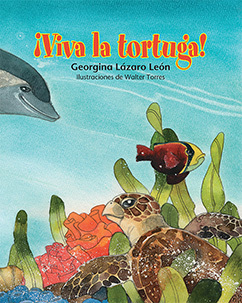 The turtle in this story will take us on a journey necessary for the survival of her species. With her, we will cross the ocean until we reach the beach where she will lay her eggs. From her efforts, many new little turtles will grow up and continue the cycle begun by their mother. This beautiful and poetic story will help readers understand the importance of protecting endangered species. 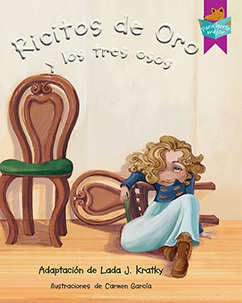 Lázaro is one of Puerto Rico's most important children’s authors. Holding onto our dreams is one of the keys to success. 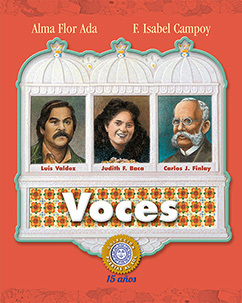 Hop aboard as we accompany playwright, screenwriter, and director Luis Valdez, muralist Judith Francisca Baca, and the person who discovered the cause of yellow fever, Doctor Carlos Juan Finlay, from their humble beginnings to their incredible accomplishments. If you hear a soft hum and suddenly see a tiny bird—so tiny that it would easily fit inside a chicken’s egg—then you have been lucky enough to see a bee hummingbird, the tiniest bird in the world. In spite of its speed, this beautiful animal has been captured on these pages, and it also has a story to tell you.